PK 3050A – PK Floats, Inc. 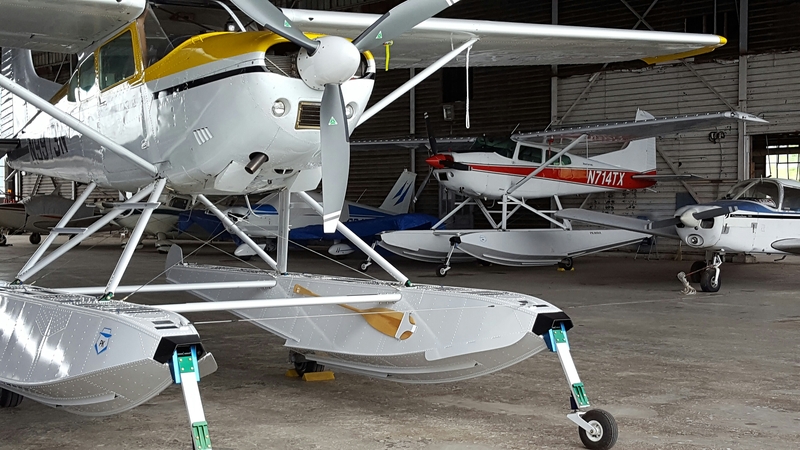 This PK 3050A is the lightest amphibious float in its class. These floats weigh 579 lbs, measured on FAA approved scales. Once installed on the aircraft there is a net gain of approximately 449 lbs, after subtracting the weight of the original landing gear. 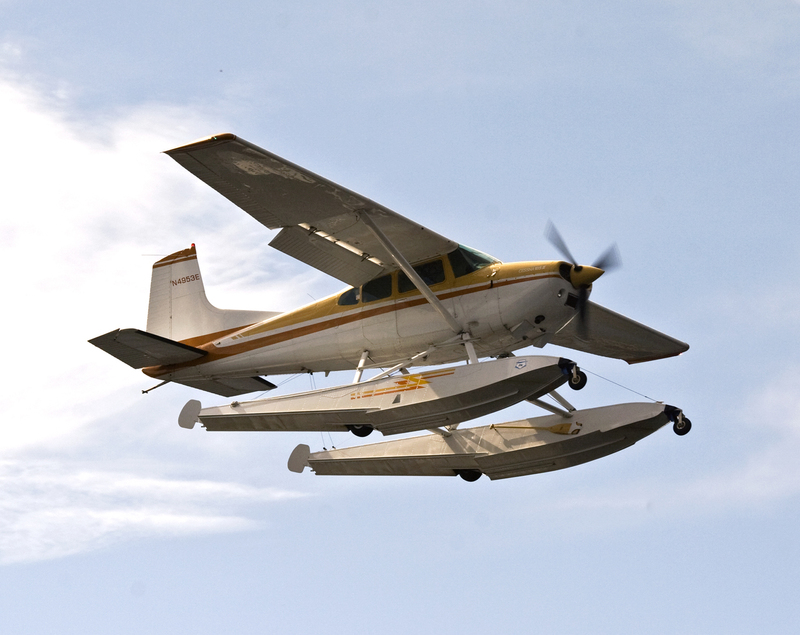 PK Floats, Inc received STC certification on April 1, 2005 for the Cessna 185 (STC # SA00213BO). The basis for design for the PK 3050A was the PK 3000, but many new features have been incorporated into the new amphibious design that is the PK 3050A. The spreader bar lug of the 3050A is CNC machined from aluminum and anodized for corrosion protection. 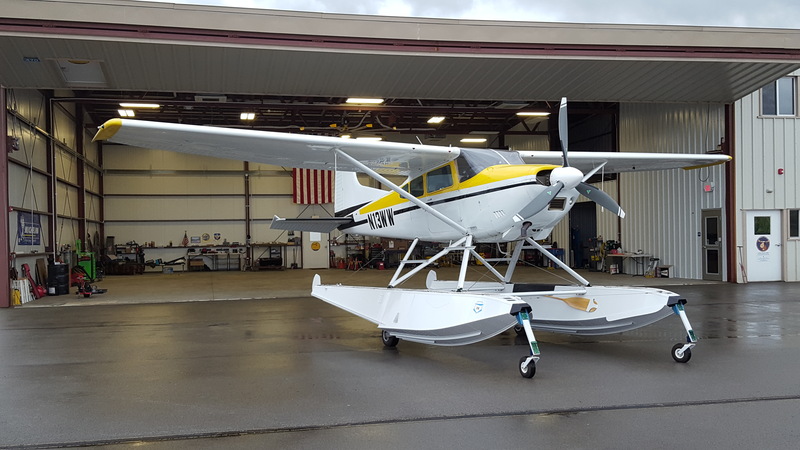 This float features stainless steel swing arms on the main gear and composite leaf springs with shimmy dampeners on the nose. The 3050A has a double puck braking system that will greatly improve braking power and reduce braking distance. The hydraulic system is installed in the left hand float compartment. The installation of the power pack in the float reduces plumbing, therefore reducing weight. There is a robust keel extrusion that is nearly ½”x½” in cross section that runs the full length of the float. The 3050A features full length inboard and outboard half-hydroboosters that reduces spray. There are also four hydroboosters forward of the step, which improve takeoff performance. This combination of keel, hydrobooster and half-hydrobooster forward of the step create a very strong bottom structure. The PK 3050A float is manufactured using flat sheet aluminum, there are no specially formed bottoms, or stamped bulkheads. Therefore skins can easily be replaced in the event of severe damage. This also means that in the event of an emergency, field repairs can be made with ordinary hand tools. The basic hydrodynamic configuration of the float is a deep-V variable deadrise design. The high sternpost angle permits small radius turns and freedom during aircraft rotation at takeoff. Rough water operations are unsurpassed because of the deep-V design of the bottom. 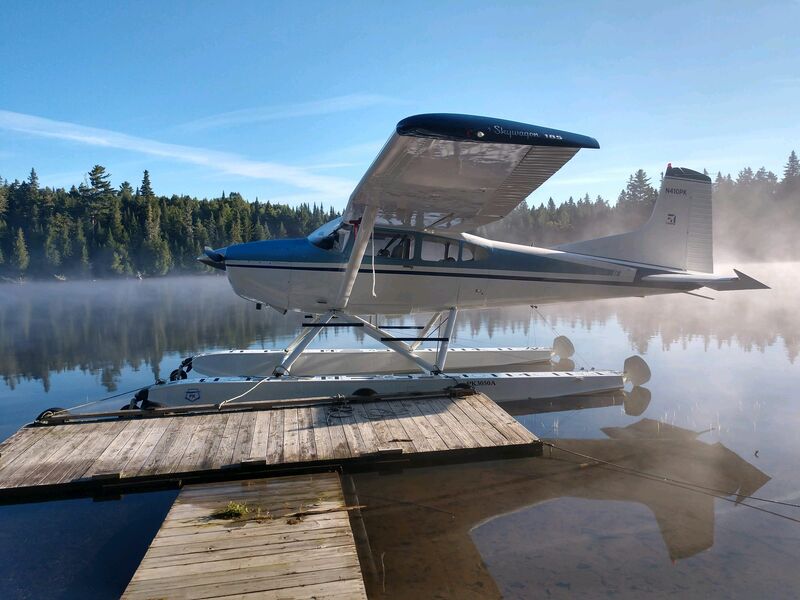 Takeoff distance on glassy water is reduced, because of the addition of four hydroboosters, even in high density altitude conditions.